More than 60 engineering simulation courses at your disposal. This training aims to present the phenomena associated with the flow in porous media, as well as the main characteristics of its computational modeling and the adequate use of these resources in ANSYS commercial software. This is an 8-session online training (100% EAD), with each presentation lasting approximately 2 hours. Each session is presented live and recorded content will be available for student review for 90 days. Transmission of lessons: Tuesdays and Thursdays from 6 p.m. to 8 p.m. (GMT -3). Make your pre-registration and receive the complete schedule of the course. 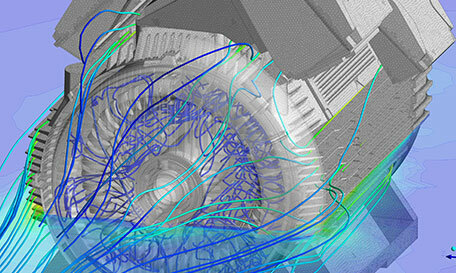 Basic knowledge in fluid dynamics analysis with ANSYS software. Once the course is finished, the student will have access to the certificate of participation issued by the ESSS Institute, with international recognition and validity. Understand the physics of the problems studied and be able to perform practical simulation and flow analysis activities using Computational Fluid Dynamics.